Upon connecting to a computer, the P-208 scanner lets users "Plug-and-Scan," without installing drivers or applications. 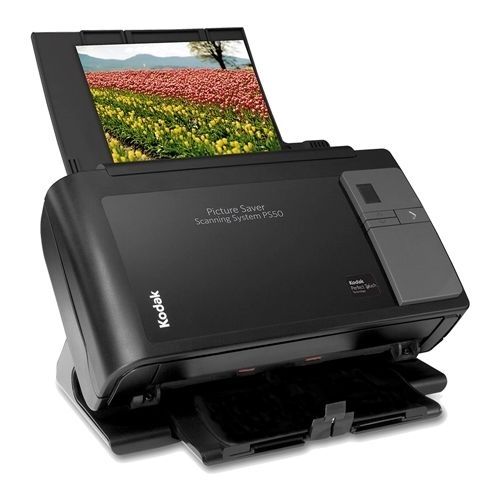 Also, a single click can automatically adjust multiple feature settings to easily deliver the best scanned image. The bundled Canon CaptureOnTouch software enables users to configure routine jobs for quick and easy one-touch access. It can also send scanned images directly to cloud applications, such as Evernote and Microsoft SharePoint. 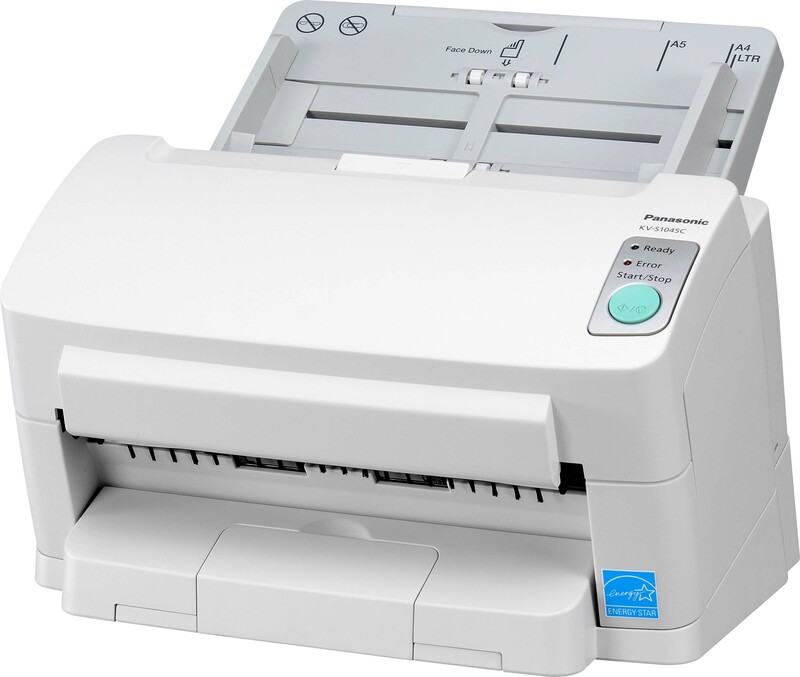 This scanner is also bundled with ISIS and TWAIN drivers for easy integration with third-party capture or content management systems. 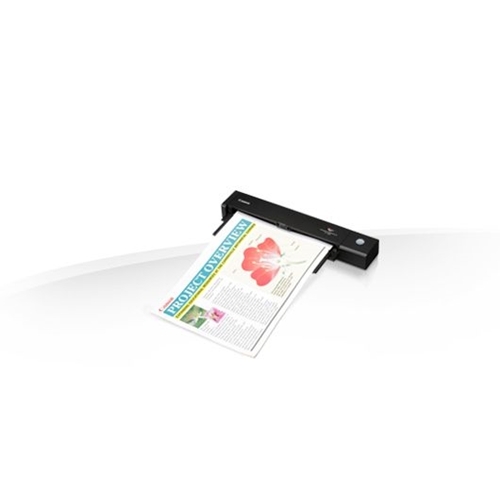 The P-208 scanner uses electrical power via a single USB cable connected to a computer, helping to reduce cable clutter. Slim and lightweight, the P-208 fits easily into a briefcase or bag for easy portability. 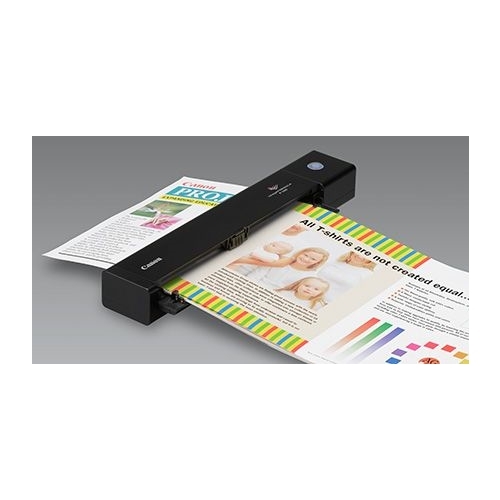 The P-208 scanner is capable of scanning both sides of an item at the same time, in color or black and white. 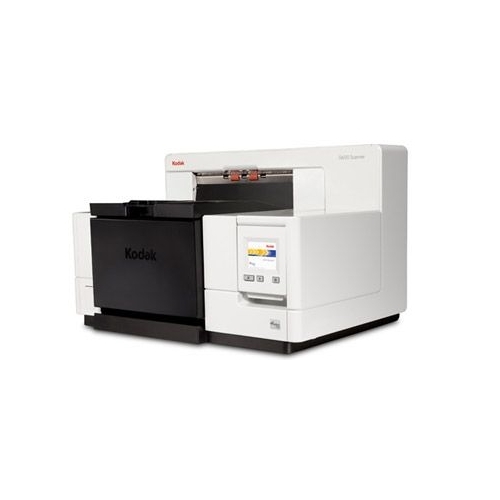 It can handle a wide variety of document types, including thick or thin documents, and plastic or embossed cards. 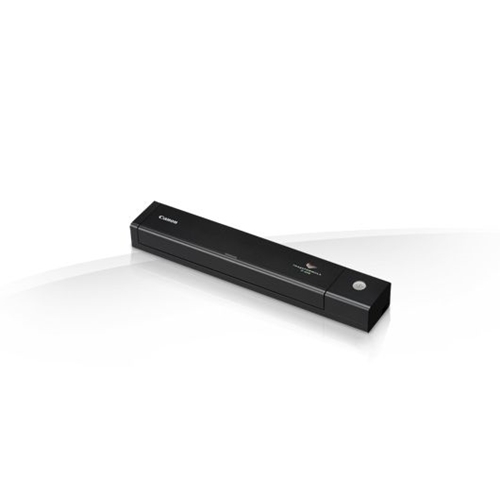 This scanner can also handle long documents and detect when double-feeds occur to help ensure that no data is lost. 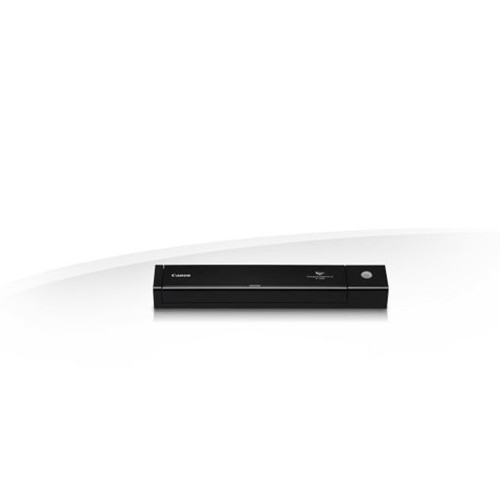 An optional wireless capability broadens connectivity choices. 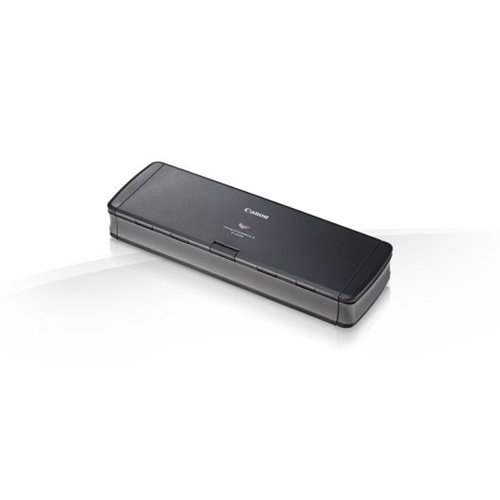 When combined with the optional WU10 Wireless Adapter and Battery Pack, the scanner not only works wirelessly in Windows and Mac environments, but also with iPad, iPhone, iPod touch, and Android devices using the free downloadable Canon CaptureOnTouch Mobile app. Physical dimensions 1.5" X 12.3" X 2.2"
ADF Feeder Paper Size Width. 2.0" - 8.5 "
ADF Feeder Paper Size Length 2.8" - 14 "